Glasgow City Health and Social Care Partnership. “The Partnership”, “we” or “us” means Glasgow City Health and Social Care Partnership. 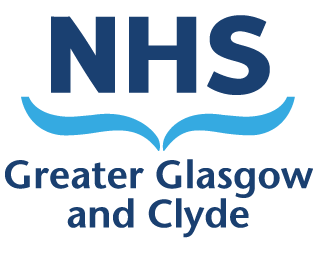 This is a partnership between NHS Greater Glasgow and Clyde and Glasgow City Council. “Third party” or “Third parties” refers to any organisation(s) or person(s) other than you, Glasgow City Integration Joint Board, Glasgow City Council and NHS Greater Glasgow and Clyde. “website” or “site” meant the web pages accessible at the URL glasgowcity.hscp.scot or any other URL determined by us from time to time. The website does not automatically capture or store personal information, other than logging your IP address and session information such as how long you spend on our website and the type of browser you use. This information is only used for system administration and to provide statistics to us. We will use the statistics to evaluate the use of the website and to help us develop and improve our website. You do not need to provide us with personal information simply to browse the website however if you wish to register for the newsletter alerts or contact us with a question, you will be asked to provide some personal information. We may ask for your name, address, phone number and email address. By providing this information you consent to us using these details to help provide you with services or answers to queries, as appropriate. If you are aged 12 or under, please get your parent or guardian’s permission before you provide personal information to this website. Any information you provide is stored securely on our database until such time as you choose to unsubscribe from receiving updates. If you no longer wish to receive our newsletters or any other updates, you may opt-out of receiving these communications by clicking the Unsubscribe option on any email communication received. You can also contact us and tell us you wish to opt-out. There may be times where we are may need to disclose personal information when required by law to comply with a current judicial proceeding, a court order or legal process served on our website. We will always notify you when your information is being collected by any outside parties. The information provided on this website is believed to be accurate at the time of writing but Glasgow City Health and Social Care Partnership and Glasgow City Integration Joint Board accept no liability for the contents and anyone relying on these contents does so at their own risk. Nothing on this website is to be construed as binding or an offer of services nor does it constitute medical, legal or professional advice. These privacy terms and conditions only covers our website at glasgowcity.hscp.scot. Any links within this site to other websites are not covered by these terms and conditions and you should check the terms of the Privacy Policies of those other sites for their terms. We are not responsible for the content of external websites. Any changes to these Privacy Terms and Conditions will be posted on this website.